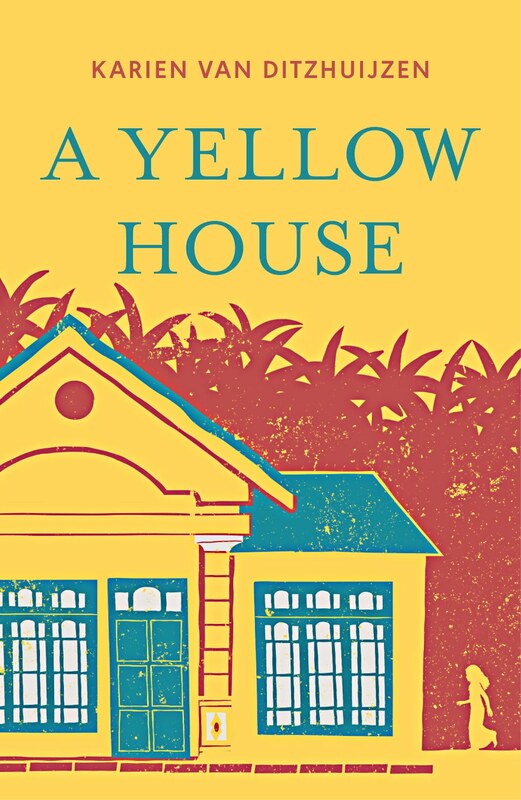 Last week I wrote about my old house in Miri, Sarawak, which was brand new when I moved in as a four year old, and that now will be torn down. Thirty-three years may not sound old for a European house, but the tropics have a different pace. Heat, humidity, mould and sea wind make things deteriorate fast, and though the house seemed fine to me, I can imagine maintenance is expensive. Piasau Camp, the estate the house is in, is a stretch of land that the oil company my father worked for leased from the Sarawak government since its establishment in the 1950s. With the sea on one side, and Miri encroaching the green enclave on all others, this land has become prime real estate. What will its future hold? Will it be sold to a developer, to build housing estates, with large, modern Chinese palaces, with concrete plastered walls and no gardens to speak of, like the ones that former inhabitant have, reluctantly, moved to? Or can there be another future for Piasau Camp? In comes the hero of Piasau’s story: Jimmy. Jimmy has lived in Piasau camp for over ten years, very happy in its lush green surroundings. He lived there with his partner Faridah and their offspring, having a jolly good time at his dwellings just across the boat club. What makes Jimmy so special that he might be the one to save Piasau camp from becoming yet another slab of concrete? Jimmy is an Oriental Pied Hornbill. Hornbills are the national birds of Sarawak, and there are not that many of them left. To have a nesting couple so close to habitation is special, and it might just be that Jimmy will save the day, as Sarawak government has made promises to turn the camp into a Hornbill Reserve. Although promises have been made, Piasau Camp and Jimmy’s future are not secure yet, and on our last day in Miri we join a nature walk organised by the committee working hard to make these plans a reality. A leisurely walk around the camp is planned, and if we are lucky, we might spot some hornbills too. But when we arrive, we learn that Jimmy and his family have just left. The number of people that has joined the walk amazes me, many of them in green matching T-shirts sold by the organisation. A handful of expats, but especially many local Sarawak families, the kids on scooters and bicycles already whizzing around Piasau’s quiet lanes, the parents equipped with cameras, binoculars and mobile phones. While we wait for the walk to start, I learn more about Jimmy’s colourful history. After living and nesting happily for over a decade with his mate Faridah, as monogamous hornbills do, a drama took place. Faridah was found murdered by a poacher, her stiff body dumped in a rubbish bin. The culprit has been caught, but why he did his horrendous deed remains a mystery. The whole community was in shock, and feared for their Jimmy. On their facebook page, Jimmy’s fans cried murder. But now, a few months later, Jimmy has found his Juliet. Chatting to some of the other walkers, I suddenly hear a cheer go up. 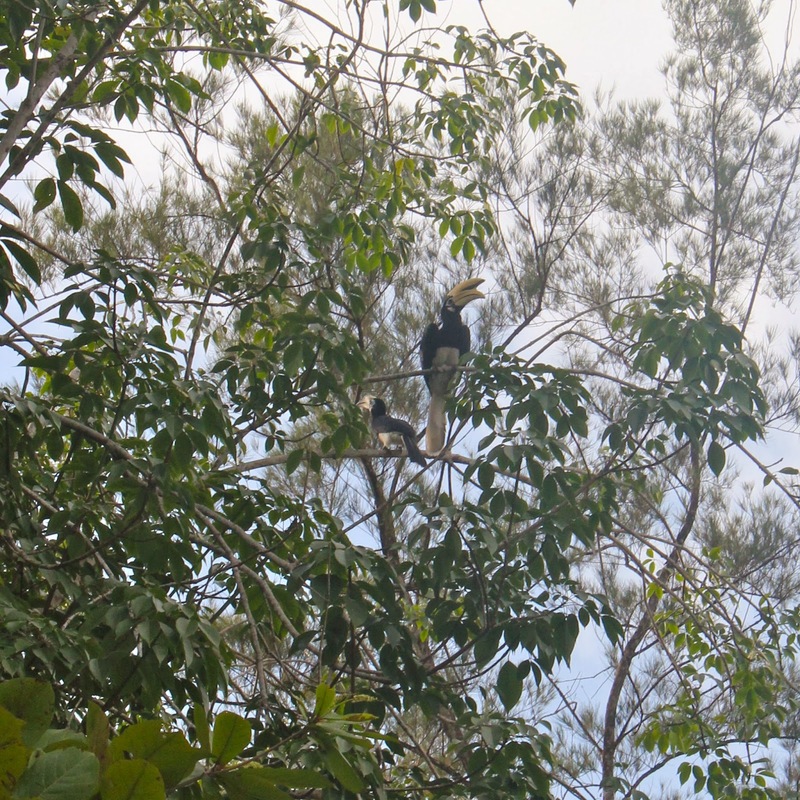 The hornbills have been spotted! Everybody rushes over, camera’s at the ready. Jimmy and Juliet give a great performance, cuddling and kissing on the branch of a large tree, every kiss drawing more cheers. To finish the show, Jimmy swoops off and circles around, showing off his perfect horned profile. 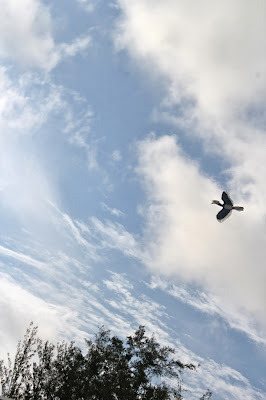 We see two more of Jimmy’s offspring that day, hovering around the casuarina trees. A magnificent sight, and we all keep snapping. Later, we walk past the hornbill nest, just a hole in a tree. Hopefully in the not too distant future Juliet will lay her eggs, and Jimmy will feed the babies with his large beak through the small slit, until the young will be big enough to fly out and help in conserving this place of my happy childhood memories, and live a long life in the Piasau Camp Nature Park. What a lovely tale! Let's hope Jimmy saves the day, and if he does, he won't even know! About your old house - it makes me think about the old village houses here in the South of France. They are centuries old and although they often look gray and tired, they mostly stand up so very straight and solid. How did they build them to last like that in those days?